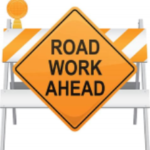 The City of Savanna has announced that the Wacker Road sewer/water/road project is scheduled to begin this year. The Carroll County Housing Authority is working closely with the City of Savanna and the engineering company, MSA, to alleviate as much construction issues with our residents at Maple Lane and Carroll Apartments. We will be notifying these residents of meetings to be held in the near future as the Wacker Road project official start date is announced. Watch for future articles in this newsletter, as well as, memos on meeting dates and times.